What flavor(s) are you looking for? Yellow indicates stores that carry all products. 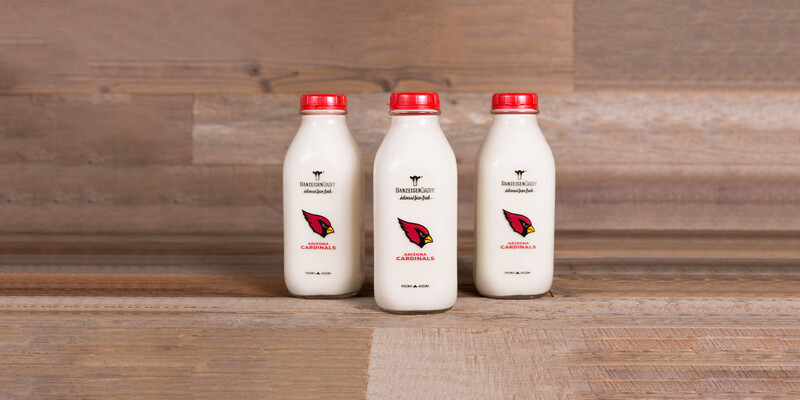 is proud to offer you the freshest milk possible right here in Phoenix, Arizona. 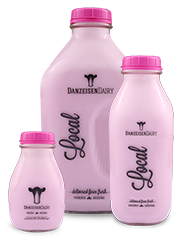 The freshest milk is always kept in our signature glass bottles as the perfect insulator to keep our milk ice-cold. 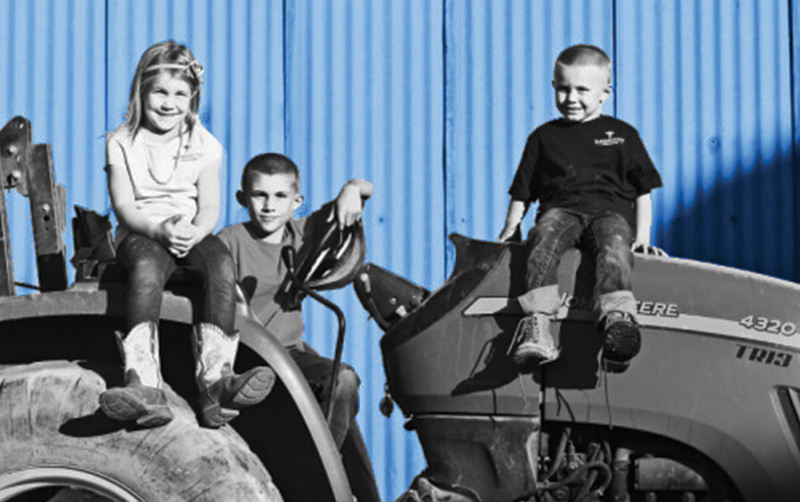 We’re a family farm that has been operating only 10 miles from downtown Phoenix, Arizona for over 50 years and we’re proud to be local. We always take top notch care of our cows, and truly care about the premium quality of our milk – one taste and you’ll be able to tell. Have you wanted to try your hand at making butter the old-fashioned way using simple, fresh ingredients? Sign up below for a butter making class at our Creamery store. For $12 (1 ticket), you get a mixer station with ingredients (if you’re sharing a station with your family, you only need 1 ticket). 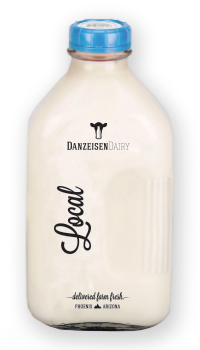 Join us for a tour of the family-owned and operated Danzeisen Dairy creamery to see how we bottle milk the old fashioned way and enjoy an old-fashioned farm experience feeding baby calves after the tour. Tours are available starting February 23 – April 15, Wednesdays through Saturday. Tours will start at 1:00 pm. and accommodate up to 15 people per tour. Tickets are $4.00 per person, all ages. Descending from a rich family history of farming, the Danzeisen Dairy has been a part of the dairy business in Phoenix for generations. 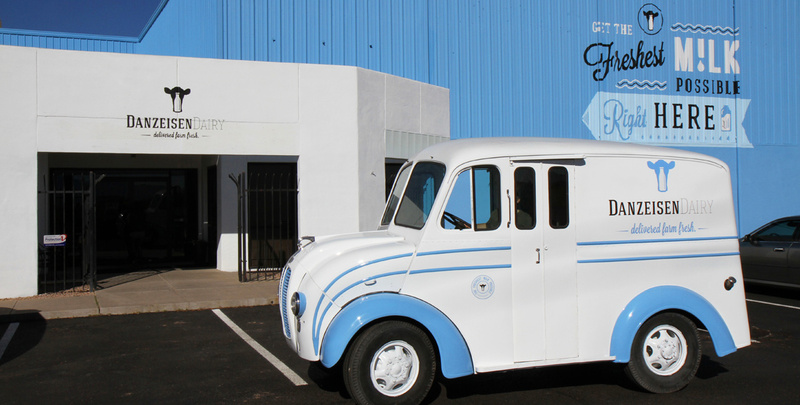 Neil and Gertrude Viss, grandparents of present day owners, moved to Phoenix in 1959 from Southern California to rent the first dairy of the family business near 51st avenue and northern. They later built another dairy on 75th avenue and Broadway in 1967, and a second dairy was purchased less than a mile east at 67th avenue and Broadway. Gail, their oldest daughter, met and married Clayton Danzeisen. Together they have four children and thirteen grandchildren. Kevin, the oldest of the four, is now the general manager of dairy operations. Brett, the third son, is in charge of transportation and harvest for the dairy. In 2002, the name of the dairy was changed to Danzeisen Dairy. “We take care of the cows, the cows take care of us.” This philosophy is the most important element of success for Danzeisen Dairy. 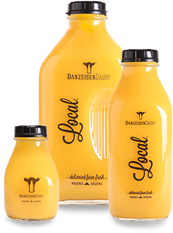 Values such as freshness, family, and integrity translate into an authentic quality product. 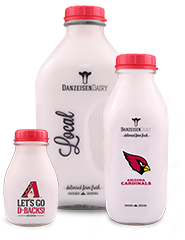 As a result of these core values, Danzeisen Dairy has flourished as a company and has now developed a new line of premium, family-owned product for Phoenix right from its own back yard. Our Holstein and Swiss cows are milked three times daily and all calves are raised on the farm. All cows and heifers are fed an alfalfa-based diet balanced with the perfect amount of proteins and minerals. We do not use any growth hormones. A specialized veterinarian visits the dairy weekly to monitor the health of the cows. A cow nutritionist checks the feed at the dairy every month to ensure the most balanced and healthy diet for the cows. At Danzeisen Dairy, we have a passion for our livestock that we want to pass onto our family for years to come. We want to invest more and more into the comfort of our cows – they take care of us in return! No plastic is used in any of our product. 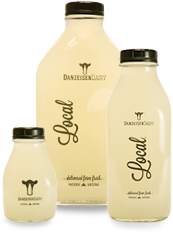 Our milk comes straight from our dairy and gets bottled into ice cold glass containers to ensure pristine freshness and the best taste possible. 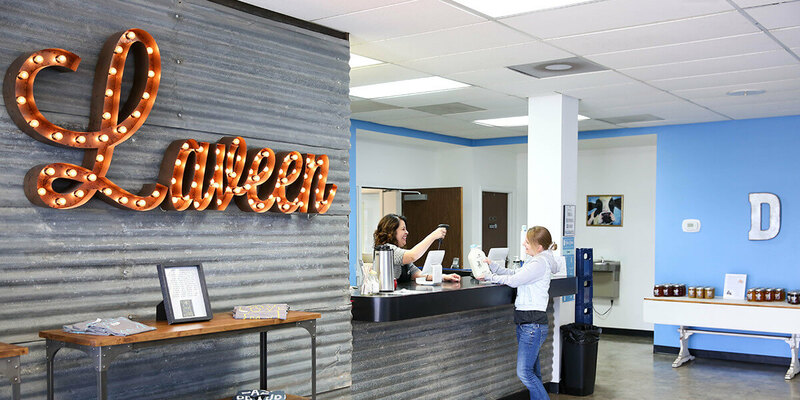 We know that the best way we can invest more confidently into our cows is to provide the best tasting, highest quality products directly to our valued customers and the Phoenix community. If you’d like to stay updated, follow us on Facebook or leave your email address on our Contact Page and we will reach out! Our milk is rBST-free and hormone-free. 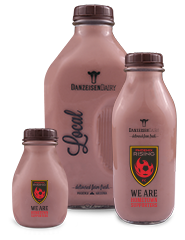 Check out some of our delicious milk and fun flavors (Chocolate, Strawberry, Root Beer & more!) below. Click each product below for nutrition information. 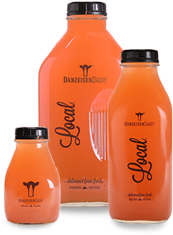 Learn more about where you can purchase our milk and products. Print out this handout to take into your store and encourage them to carry our milk! Want to sample the flavors? If you’re interested in any of our products come on down to the creamery store to say hi and try anything your heart desires. We know you will not be disappointed!!! Where can bottles be returned? 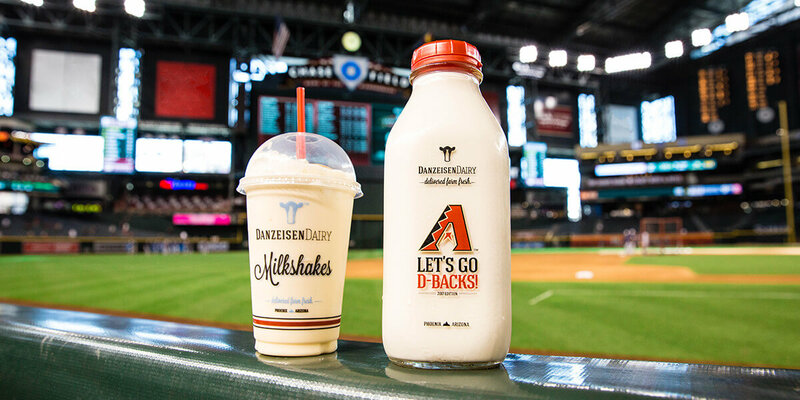 Just rinse, recycle cap and return bottles to point of purchase or directly to the creamery. How can restaurants or food service providers get our milk? 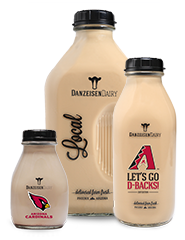 Contact Danzeisen Dairy using the form below or call (623) 478-9494 for details on distribution. Where do I find the best by date? On the side of every cap.